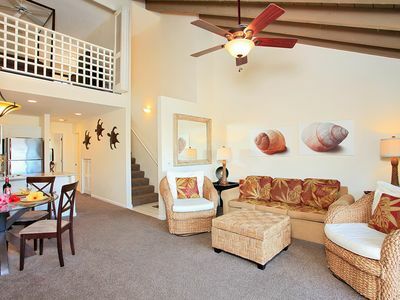 OCEANVIEW - Sleeps 6 -Single Level - No Stairs-Steps to Beach! Needs lots of space? 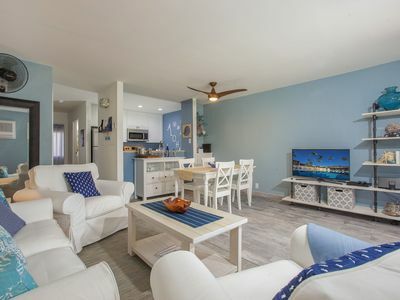 Want Ocean Views? 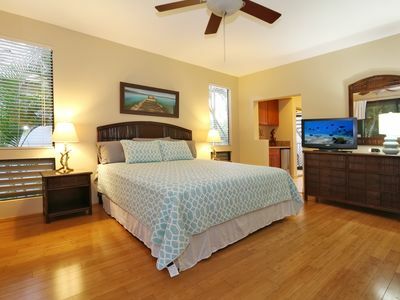 Then check out this spacious (almost 1300 sq feet) 2 bedroom/ 2 bath PLUS Family Room with Queen Murphy bed! (becomes a 3rd bedroom with privacy divider) Sleeps 6 adults comfortably. 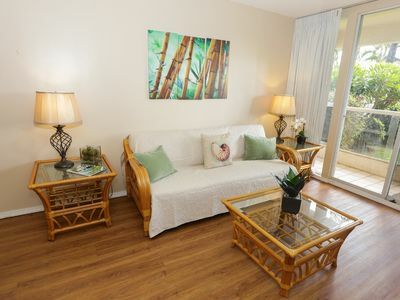 Located on the 3rd floor of the prestigious Kamaole Sands Resort, Condo 10-314 is one of three condos with this unique floor plan out of 440 units! Single level - no stairs! 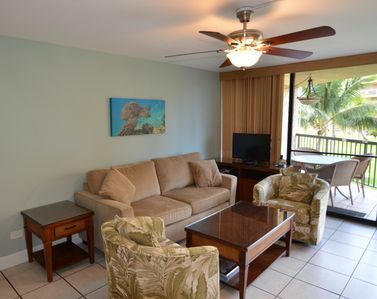 Professionally decorated in rich tropical hues, enjoy comfort and luxury. 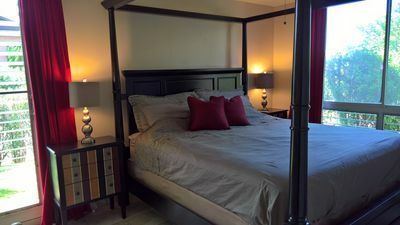 King size bed in Master Suite with attached bathroom, Queen Size bed in bedroom #2 and a Queen Size Murphy bed in the Family Room! 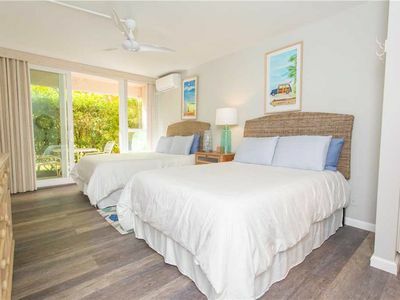 Updated with new large washer/dryer in unit, fully stocked kitchen and a lanai closet full of beach goodies including chairs, umbrella, ice chest and boogie boards. Enjoy Netflix or your favorite shows in High Definition on our 55" 4K Smart TV as well as FREE WIFI. 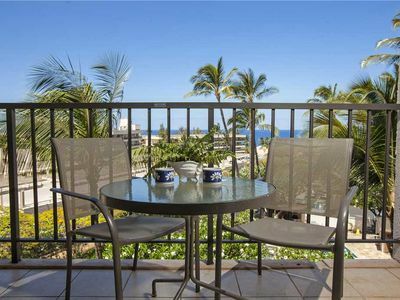 You'll love entertaining on the big wrap around lanai with views of the fountains and the Ocean beyond. Wanna head to the beach? Its only a 3 minute walk from our front door to the waters edge! It is one of the best NATURAL beaches on Maui. 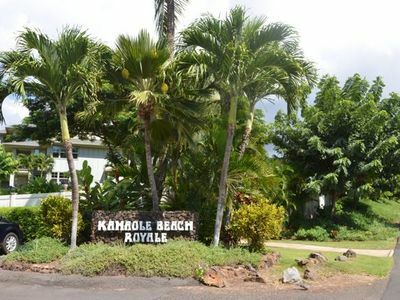 It is Kamaole Beach III and is part of the Hawaii Park system so you also will enjoy grassy lawns, shade trees, clean restrooms, playground and life guards! Its a SANDY beach and a great place to swim, boogie boards, snorkel and play! So why Kamaole Sands? 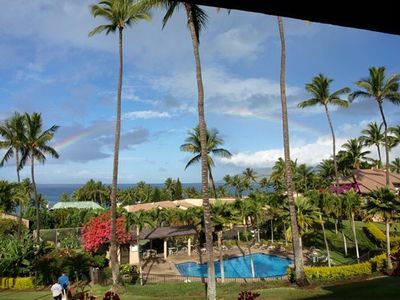 There's 15 acres of reasons - it is one of the largest and most prestigious condominium complexes on Maui. The condos are some of the largest floorplans and concrete construction so neighbor noise is non-existent. It is a beautiful and meticulously kept property. 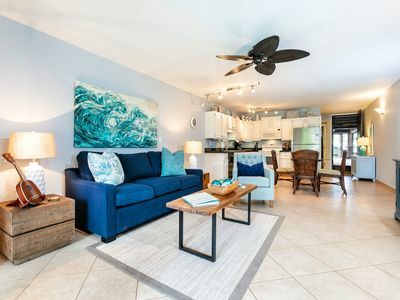 Lush tropical foliage, running streams, fountains, ponds, huge pool, 2 jaccuzzis, kiddie pool, gym, pool side snack bar, tennis courts and multiple grilling stations throughout the property. We offer FREE Assigned Parking! Every week there is live entertainment poolside with hula lessons and Mai Tai's. 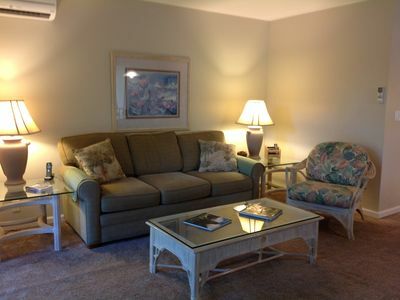 It's a family friendly complex with areas that are also designated for adults . 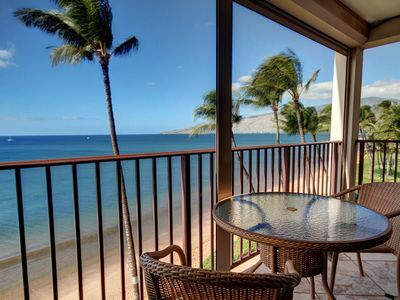 Kamaole Sands is within walking distance to many fine restaurants, shops and nightlife. The City Bus stops right in front as well as Turtle Tracks, a local company that provides transportation around Kihei and Wailea. 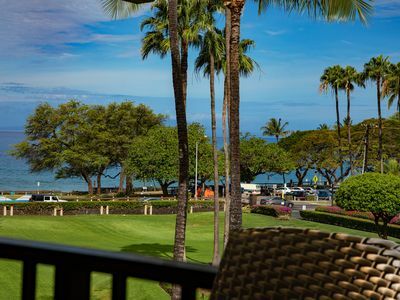 You are less than a 5 minute drive from the shops of Wailea where you will find high end shopping, golf, dining and celebrities and a 3 minute drive to the heart of Kihei Town where you will find locals mingling with tourist, great food and entertainment at reasonable prices. 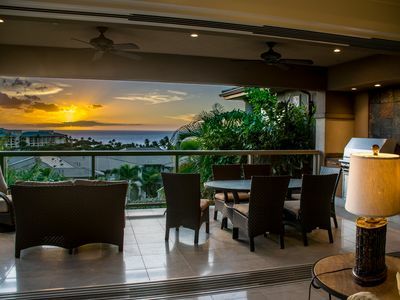 Kihei is centrally located on Island - close to everything there is to see and do on Maui. It is called the "Gold Coast" because it is drier (less rain) than the rest of the Island. We are approximately 20 minutes from OGG airport. 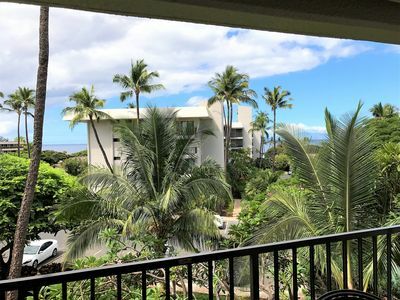 Average temperatures in Kihei are from the low 70's to high 80's year round. 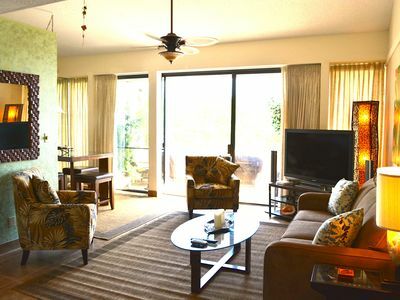 If you truly want a memorable Maui vacation and want to "live" Hawaiian during your stay, don't miss out on this beautiful and fully appointed condo. You'll love it here! 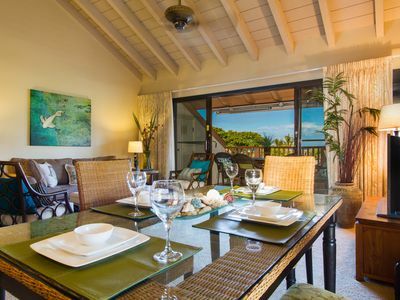 3 Bedroom Ocean View Villa.....Relax and Enjoy! 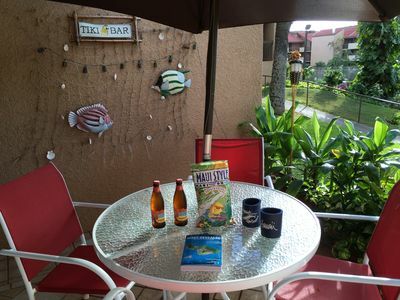 **New Listing ** Delightful Maui Beach Haven. 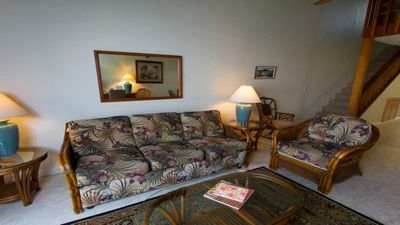 Hale Kamaole 135. Class Condo in a Townhouse Format.